This antique hardcover book is bound in purple textured cloth with gilt lettering and a gilt picture of a greyhound statue on the front cover. 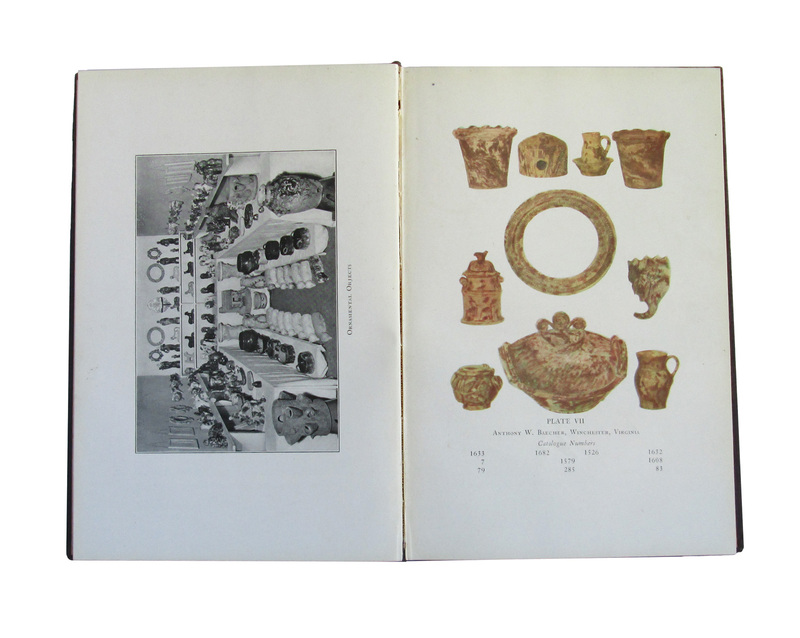 Good / fair condition: Spine is faded; some small water spots; wear and soil. 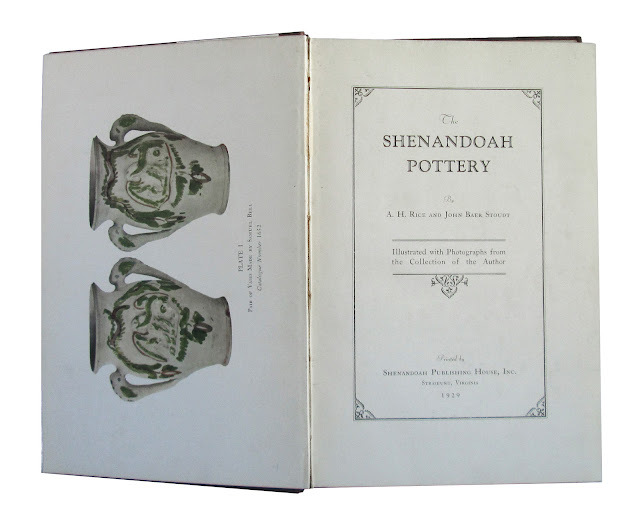 Illustrated with black-and-white photos from the author's collection, the book looks at the pottery produced in the Shenandoah Valley of Virginia. 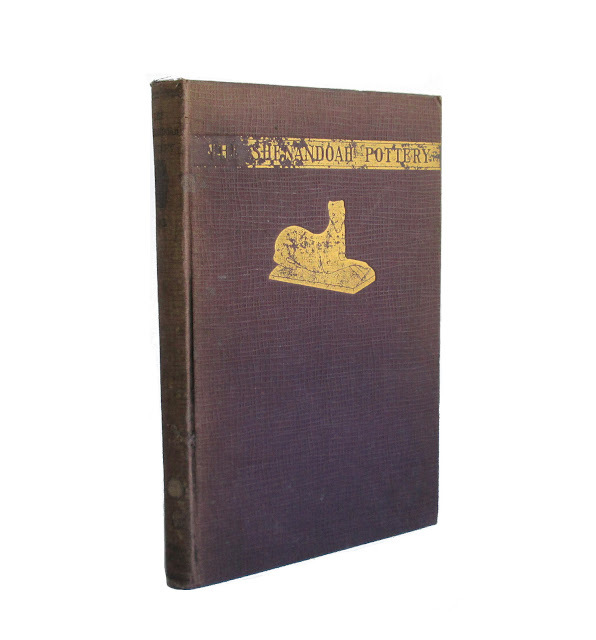 277 pages; approx. 6"x9.